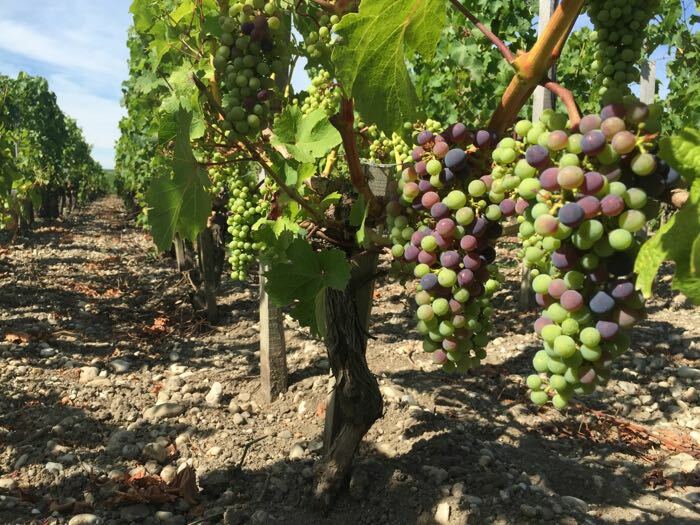 Please click here for a look at a free article from JancisRobinson.com giving an update on the the 2016 vintage in Bordeaux. Gavin Quinney of Ch Bauduc sends this report, written last night, on the 2016 growing season so far in Bordeaux. Harvest will not be early. It’s been exceptionally dry during the holidays, with plenty of sunshine around Bordeaux. Most tourists have been on the beach, relaxing by the pool, strolling around markets or spending time in the city of Bordeaux itself. Those with an interest in wine might have visited the new Cité du Vin, which opened in June, or taken a trip out to St-Émilion. Most dogs, as here at Ch Bauduc, have been looking for shade. Those who have ventured out into the vineyards – beyond the refreshingly cool barrel cellars – might have seen how dry the ground looks. The parched grass verges contrast starkly with the lush green rows of vines, which are, for the most part, in remarkably rude health. As you’d imagine, young vines with shallow roots on dry soils suffer when there’s no rain but, overall, the vines are coping well, especially given the heat over the French holiday this last weekend with temperatures consistently reaching 33 °C (91 ºF) or more. On Monday, August 22nd at 7pm, please join Spec’s fine wine buyer Bear Dalton at the Wine School at l’Alliance Française for Considering California Chardonnay. We will discuss some history of Chardonnay in California, America’s on-again-off-again-on-again love affair with Chardonnay, how Chardonnay is made, where it is best grown in California, and pairing Chardonnay with food. Fourteen top quality Chardonnay wines will be tasted. Bread and a selection of fine cheeses will be served. Considering California Chardonnay will cost $80.00 per person (Cash or Check) or $84.21 regular. The class will meet at 7pm on Monday, August 22nd at l’Alliance Française. To purchase your ticket, please contact Susan at 713-854-7855 or coburnsusan2@gmail.com. Cancellation Policy: If you buy a ticket and will not be able to attend, please cancel at least 24 hours before the class or you may be charged. Later cancellations will not be charged if we can fill the seat. This is often case as we regularly have waiting lists for these classes. In 1990, the late Joseph Henriot (1936-2015, former head of Veuve Clicquot and owner of Henriot in Champagne and Bouchard Pere et Fils in Burgundy) set aside one vat to add a portion of outstanding Blanc de Blancs each year, capturing the essence of every harvest in a sort of solera. The idea was to create a perpetual blend of 100% Chardonnay from 100% Cote de Blancs grands cru vineyards (Mesnil-sur-Oger, Chouilly, Avize and Oger). In 2009, the first 1,000 magnums were drawn and put through the Champagne process. After another 5 years aging on the lees in Henriot’s cellars in Reims, the wine was disgorged and given a final dosage of less than 5 grams per liter. Each year, another 1,000 magnums will be released. 100% Chardonnay all from Grand Cru vineyards fermented and aged in a reserve wine solera representing 19 vintages made using Methode Champenoise in in Magnum, aged another 5 years on the yeasts and then finished only with a less-than-0.5 dosage. (The tank or cuve holding the wine is Cuve 38 – hence the name.) Pale-gold-straw in color and fully sparkling; dry, medium-full-bodied with freshly balanced acidity and scant phenolics. Deep dense, unique wine. Pure expression of Chardonnay and chalk, mineral and yeast but most of all development. The wine evolves in the glass as if slowly flattens and warms. It really succeeds as wine, not just as sparkling wine. My first impression score was 94+. Three hours later it was 97. Two days later (the still 2/3s full magnum stored cold and tightly stoppered) it was 100. This is stunningly good, utterly unique champagne that almost demands decanting to help it develop in a reasonable time. Or you could keep it for a few years and then … WOW! Only 2 magnums available only at Spec’s at 2410 Smith Street in Houston. One day last week, Sunny Brown of Michael Skurnik Wines and David Graves of Pioneer came by my office for a business meeting. As they are veteran wine guys, they brought three somewhat fancy wines to taste: PIERRE GIMONNET Oenophile Extra Brut Blanc de Blancs, Champagne, 2008, BRUNDLMAYER Riesling Helligenstein, Kamptal, 2013, and PAUL JABOULET Condireu Les Armandiers, Condireu, 2014. When I saw this line-up, I felt an inward cringe which I hope did not show on my face. I do not (generally) like Extra Brut Champagne (too dry). I do not (generally) like Austrian Riesling (often out of balance on the dry side). I do not (generally) like Condrieu as Viognier (from which Condrieu is made) is near the bottom of my hierarchy of wine grapes (right there with Torrontes). But, out of courtesy and maybe a bit of morbid curiosity, I agreed to taste through these three (initially at least) less than inspiring selections with them. Please pass the salt as I need to put a little on the humble pie I will now eat. Color me stunned! WOW! All three wines were stellar. Each seemed to be trying to out mineral the others. One might allow as to how “Rocks rock!” What a great way to meet minerality. 100% Chardonnay (33.5% from Cramant, 32.5% Chouilly, 10% Oger, 22% Cuis and 2% Vertus) given a full malo-lactic fermentation (unusual for Champagne) and aged 8 months in stainless steel tanks (with two rackings) before the methode champenoise. Aged 60+ months on the yeasts in the bottle before disgorgement. No dosage (added sugar). Yellow-gold and fully sparkling; dry, medium-bodied with freshly balanced acidity and scant phenolics. 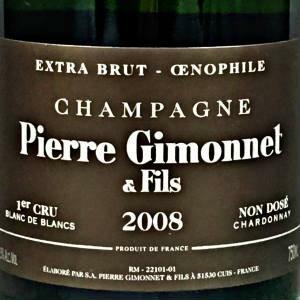 Focused, delicious, supple style of Champagne offering more than enough richness to handle the dryness. Toasty, very ripe lemon and orange mostly citrus fruit and lots of mineral with ample yeasty richness. Integrated and complete. Really holds your interest. Lovely. BearScore: 94+. 100% Riesling fermented in stainless steel at 15-20°C and then racked into big neutral wooden casks to age on the fine lees. 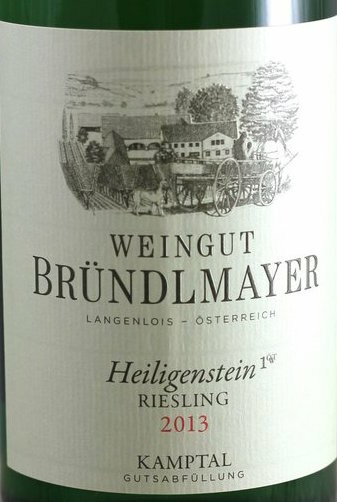 Straw with green highlights and well formed legs; dry, medium-bodied with freshly balanced acidity and scant (typical of higher-end, drier Rieslings) phenolics. Lovely pure dry Riesling with essence of peach and citrus and even some apple perfume but dry and restrained. Lots of mineral. Delicious. Holds your interest as it develops and opens up in the glass. BearScore: 94+. 100% Viognier from biodynamically-farmed, 25+ year-old-vines planted on south-facing slopes cropped at very low yields of 20 hl/ha. Aged 55% in French oak barrels (5% new), 25% in small concrete eggs, and 20% in stainless steel tank. Gold-straw with green highlights and well formed legs. Dry, medium-bodied with freshly balanced acidity and medium phenolics. 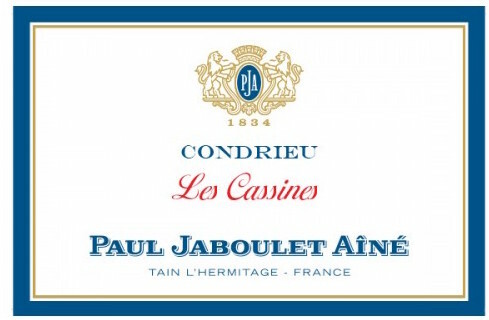 Vivid, fresh, elegant, but supple mineral-centered Condrieu. Essence of peach and peach stone, citrus and peel and liquid stones. Lovely, pure, focused. About as good as Condrieu gets. BearScore: 95.